For all reservations and enquires, please send us an email! 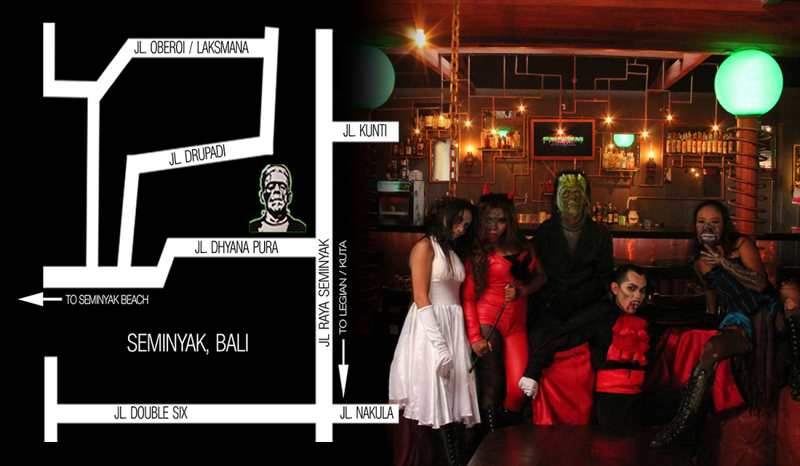 We prefer emails at Frankensteins and our helpful reservation staff will happily book you in for thrilling night out! PLEASE ENSURE THAT YOU HAVE READ ALL SESSION INFO BEFORE MAKE A BOOKING! Before sending enquiries (non reservation related) to us, please first see our comprehensive FAQs page , and see if we cant answer your question first! PLEASE PRINT IT AND BRING WITH YOU ON THE NIGHT! Before you make a booking..... Important Information!! restaurant on 0361 731 622 to inform us of your expected arrival time. the stage from all tables in the venue. Food Allergies. We take food allergies very seriously at the lab, if you are allergic to any food at all, please inform our staff upon ordering and we will take care to prepare your food separately. Also, if booking for the Adult Session and you have Diabetes or any other related health issues that requires you to eat promptly or at a certain time, please that we DO NOT serve food until after 8.30pm! WARNING!!! Lighting Effects. 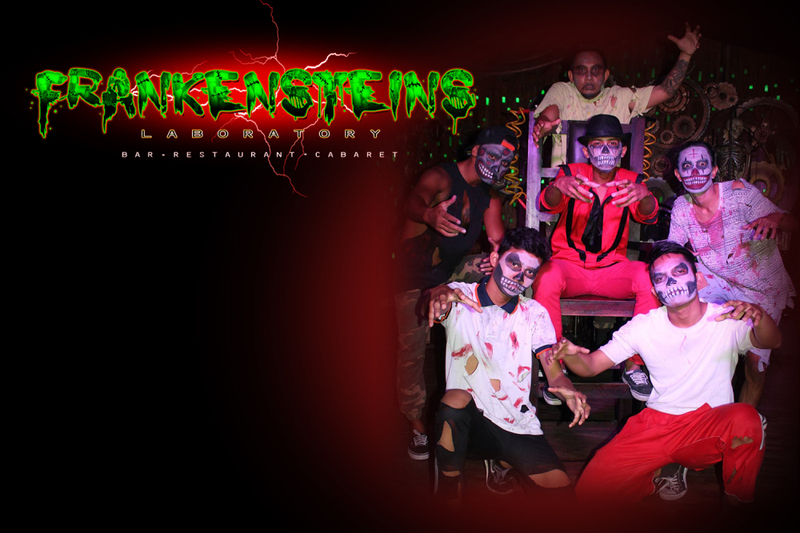 Frankensteins stage shows use a number of different lights, lighting effects, flash photography, loud speakers, stage production and STROBE LIGHTING. If you suffer from photo-sensitivity or epilepsy, Frankensteins may not be appropriate for you. Please be mindful of this when entering the venue. AGE RESTRICTION. Frankensteins has a very strict age restriction policy for the Adult Sessions. Please note, if you bring children under the age 14 to the Adult Session, we will not permit them entry. If you have children under the age of 14, please ensure that you book for the FAMILY SESSION.